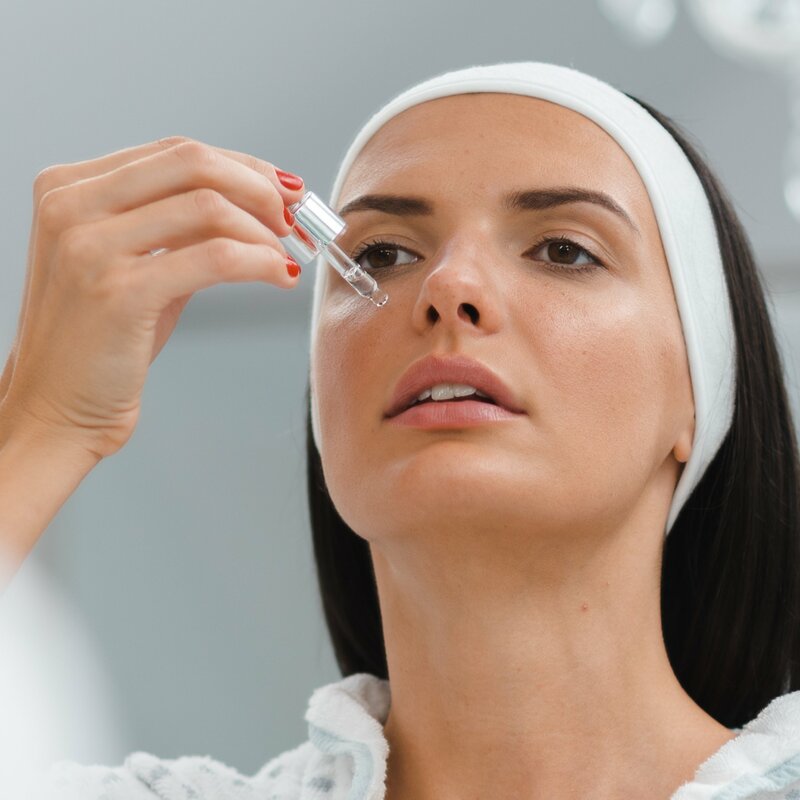 Daily use of HYAMATRIX® Correction Serum with Hyaluronic Acid & Matrixpeptides® can actually decrease the biological age of your skin. Wish you could turn back time? Now you can! As we age, our skin loses its natural ability to regenerate itself, leading to fine lines and wrinkles. We formulated Correction Serum with the same bioactive ingredients in our professional treatments, including low molecular weight hyaluronic acid, hydrolyzed collagen, elastin, and regulatory peptides. 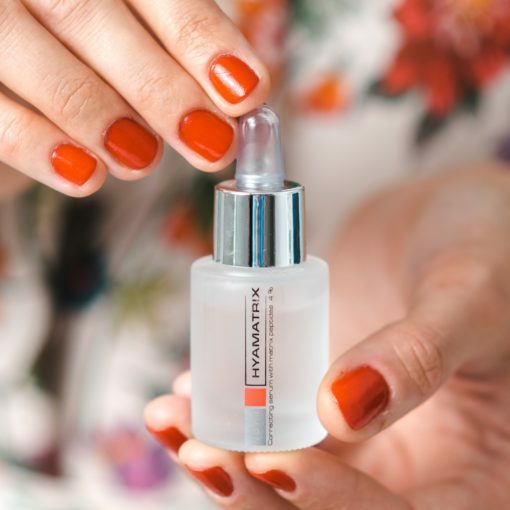 Thus, this miracle in a bottle actually stimulates the production of hyaluronic acid, collagen, and elastin in your skin so that your skin regenerates as it did when it was young. The result? Your skin will be visibly smoother skin with less wrinkles in just 29 days. And while this powerful serum produces impressive results, it’s gentle enough to use on even the most sensitive skin. 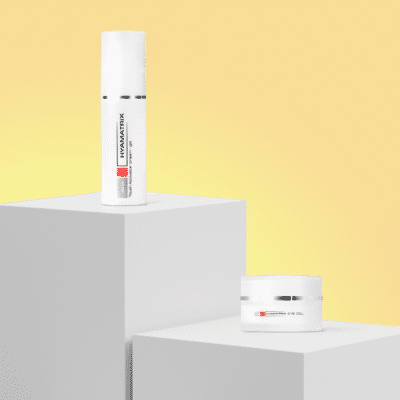 Correction Serum is not your average anti-aging serum. This miracle elixir was originally developed to treat burns by regenerating skin with no scarring in less than a month. Thus, you can also use Correction Serum to promote wound healing. For this reason, it’s the one product that every single HYAMATRIX® employee keeps stocked in their medicine cabinets! Stimulates the production of hyaluronic acid, collagen, and elastin for smoother, younger-looking skin. Provides active hydration to the deepest layers of the skin. Improves cellular regeneration to decrease skin’s biological age. Smooths wrinkles while correcting other skin problems like erythema and rosacea. Tightens and firms sagging skin. 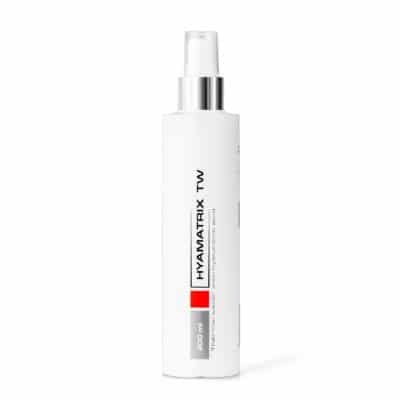 Protects skin from future aging by defending against free radicals and glycation. Promotes healing and soothes irritated or traumatized skin. Use in the morning after cleansing skin. Smooth onto the face, eye area, neck, and décolletage, using one drop per area. Follow with any HYAMATRIX® cream. 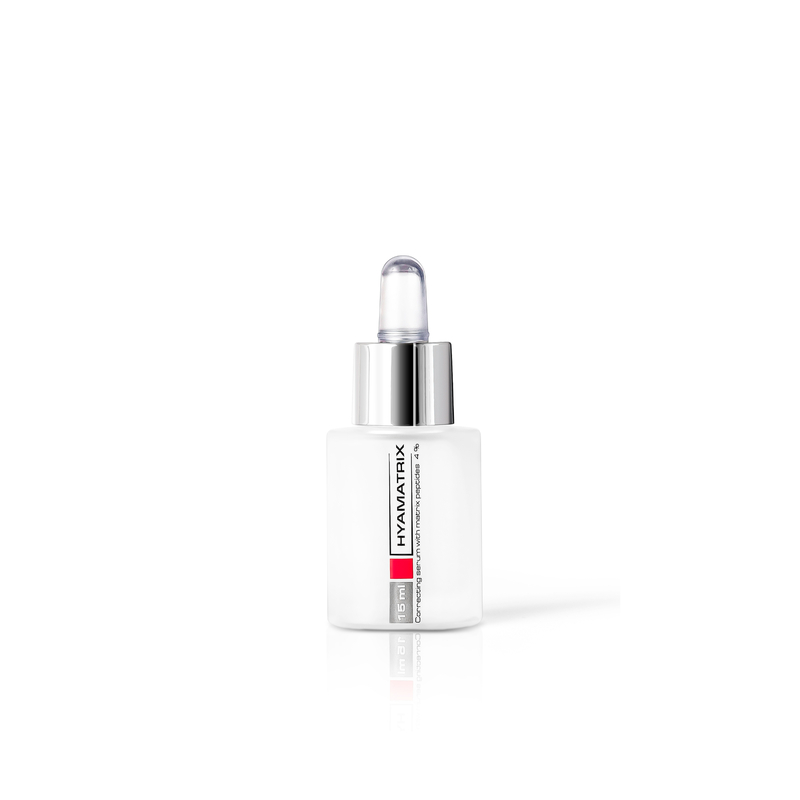 We recommend Correcting Serum with Matrixpeptides® for aged skin with surface wrinkles or deep fixed wrinkles. Correcting Serum is also an effective solution for skin with a damaged protective barrier. Destructured Hyaluronic Acid & Matrix Peptide® Complex – Our signature ingredients work together to actively restore hydration at skin’s deepest layers. These powerful ingredients also improve cellular regeneration for impressive anti-aging effects. And because Destructured Hyaluronic Acid & Matrix Peptide® Complex are anti-inflammatory, they effectively promote wound healing. 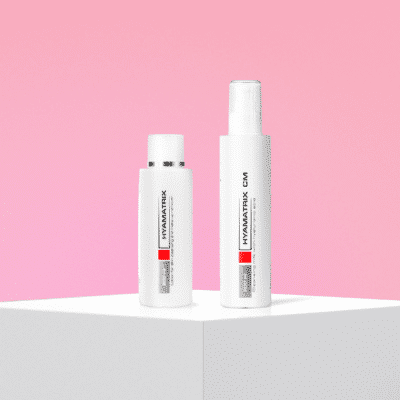 Dermatokin® – This cutting edge peptide complex produces seriously impressive results by improving collagen structures in the skin. Collagen is a natural protein that gives youthful skin its smooth, supple look. As we age, however, the collagen in our skin suffers degradative processes, and as a result, skin starts to sag and wrinkle. Dermatokin® smooths and firms skin by stimulating the production of collagen. Since this ingredient addresses the signs of aging at a cellular level, the resulting revitalizing, wrinkle-removing, and skin renewal effects are both powerful and long-lasting. Carnosine & Enpholine – These impressive anti-aging ingredients protect against glycation, one of the top causes of visible skin aging. During the glycation process, excess sugar molecules damage collagen proteins. Carnosine also has potent anti-inflammatory benefits that soothe irritated skin.